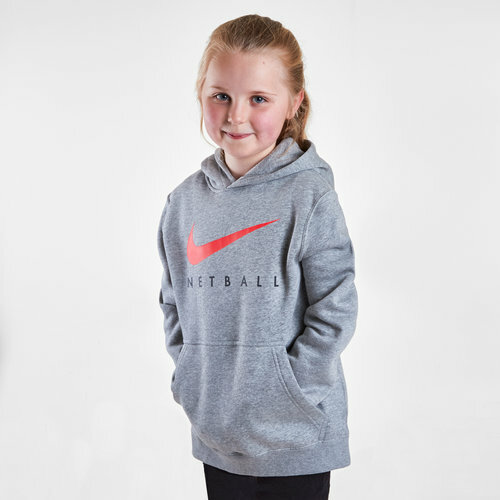 Go crazy for the Roses, look just like your heroes and stay warm in this Nike England 2019 Kids Netball Graphic Hooded Top. This pull-over the head hoody comes with a drawstring hood for you to create your own fit around the neck whilst keeping your warm and comfortably covered and a kangaroo pocket for storing valuables. With the Nike swoosh across the middle, the word Netball comes underneath it.